Roger’s note: One dimension of US foreign policy can be summarized in two words: regime change. And, with apologies to Malcolm X, one would add, “by any means necessary.” They achieved it a few years ago in Honduras, which today under the US puppet regime has become the most violent country on earth. They achieved it last year in the Ukraine, thanks to a popular revolt against a corrupt, albeit democratically elected government, aided and abetted by neo-Fascist gangs. Syria and Venezuela are next on the list, but Syria may be useful in combating ISIS, so that leaves Venezuela (they would love to achieve regime change in Ecuador and Bolivia, but that remains on the back burner for a future date). The New York Times published the other day an updated report on Venezuela, which was somewhat more balanced, but which parroted the US official line that the government’s opposition is a victim of government oppression, thereby ignoring the reality that it is being being held criminally responsible for its attempt to overthrow the government with a military coup. The opposition leader under arrest, Antonio Ledezma, as Mayor of Caracas was responsible for multiple deaths during the failed 2002 coup and the 1987 and as Mayor he directed state troops which assassinated as many as 4000 civilians during the Caracazo uprising of 1989. For this he has to now gotten off Scott free. Here is the latest on Venezuela. Antonio Ledezma was arrested Thursday afternoon in Caracas after being named in the recently-foiled U.S.-backed coup in Venezuela. Venezuelan President Nicolas Maduro confirmed the detention on Thursday of the ultra-right wing Caracas Mayor Antonio Ledezma, who is accused of participating in the thwarted coup attempt against the democratically-elected government. “He was detained and will be tried by the Venezuelan justice system” due to his link to plans to topple the government of Maduro with backing from Washington, the Venezuelan president added. Maduro emphasized that the White House is directly involved in the coup plans that were foiled last week by the Venezuelan government. The Speaker of Parliament Diosdado Cabello said Ledezma was involved along with opposition lawmaker Juolio Borges in a plan to kill Leopoldo Lopez, an opposition leader in jail for his participation in last year’s Guarimbas violence that left 43 people dead in an opposition and U.S.-backed attempt to overthrow Maduro. 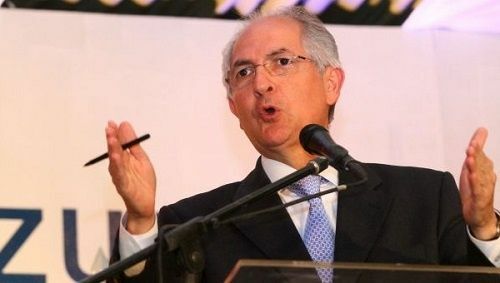 Ledezma is one of the persons responsible for ordering the massacre of up to 400 students during the Caracazo of Feb. 27, 1989, which was a popular rebelion against the ill-conceived neoliberal policies imposed by the U.S. and its allies in many countries, including Venezuela. “Today, [Ledezma] is being processed by the Venezuelan justice system, the constitution. I ask for all the people’s support in order to consolidate justice. Enough with the conspiracy,” said Maduro. 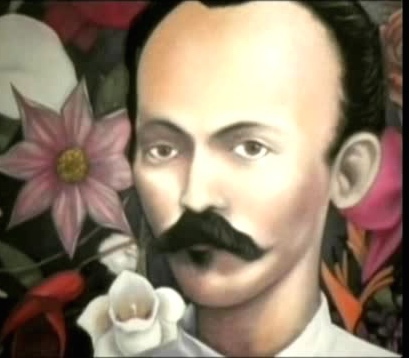 “Those who do not agree with the revolution, that’s fine, we respect that. They can organize, they can launch their own political party. There are elections this year.” Ledezma, a long-time opposition leader to the Bolivarian process who has been linked to ultra-right wing attempts to destabilize the Venezuelan government, published on his personal Twitter account earlier today that officers from the Bolivarian Intelligence Service (SEBIN) Officers were attempting to enter his office in the wealthy Chacao district of Caracas. His wife, Mitzsy Capriles, said that he was taken to SEBIN headquarters in Plaza Venezuela. On Feb. 13, President of the National Assembly Diosdado Cabello gave a televised address providing information about the foiled coup plans, with those detained providing information about the involvement of Ledezma and other opposition leaders in the plot. Socialist legislator and President of the Latin American Parliament Angel Rodriguez announced that Friday he would formally report Ledezma and right-wing opposition leader Maria Corina Machado to the Venezuelan general prosecutor for their “National Agreement for Transition” statement, which was published one day before the coup plot was to take effect. The document alleges that Nicolas Maduro’s government is in its “final stage” and called for a dissolution of powers, the privatization of the country’s oil industry, and the deregulation of the economy, among other measures. President Maduro has also said that “almost all” opposition leaders had known about the plans. Last year, Ledezma was also linked to Lorent Saleh, a young opposition activist who organized violent protests, but who was arrested after being deported from Colombia for registering in a military college with false documentation. The Venezuelan government released several Skype video conversations where Saleh speaks openly about having weaponry, as well as plotys schemes to generate violence, including through assassinations. The young opposition leaders explicitly named Ledezma as providing material support for the 2014’s violent opposition-led protests, which claimed 43 lives. The Bolivarian government continues to defend the country’s institutions despite ongoing destabilization attempts. 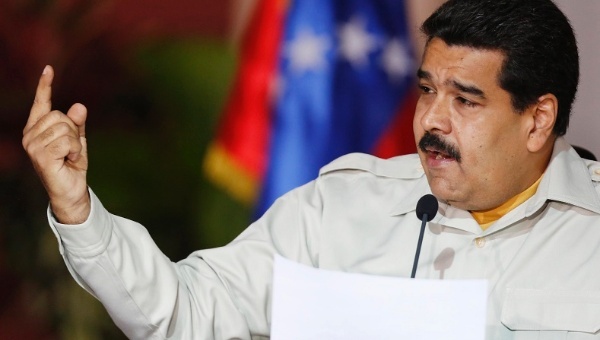 During a nationally televised speech Thursday night, Maduro reiterated his allegations that the U.S. embassy was participating in the plans, including attempting to turn officials on the government via bribery. A February 15, 2015, op-ed on Venezuela by Enrique Krauze seems to have slipped by the New York Times‘ factcheckers. Krauze’s thesis (a tired one, but very popular with Venezuelan and Cuban right-wingers in South Florida) is that Venezuela has not only followed “the Cuban model,” but has recently outdone Cuba in moving Venezuela further along a socialist path even as Cuba enacts economic reforms. This idea is not merely an oversimplification–as it might appear to the casual observer of Latin American politics–but is largely misleading. To bolster his case, Krauze–a prominent Mexican writer and publisher–includes numerous false statements and errors, which should have been caught by the Times‘ factcheckers. The media landscape has changed little since. National opposition station Globovisión was sold in 2013, but to a private party; it was not “taken over” by the government. And opposition voices continue to appear on national TV outlets–even the ones that are often described as “pro-government”–free to make the harshest criticisms of the government and to encourage people to protest, as several prominent opposition figures did last year during the violent street blockades and demonstrations aimed at forcing Maduro to step down. Globovisión, for example, aired interviews–following its change in ownership–with opposition leader María Corina Machado and Juan Guaido of Leopoldo López’s Voluntad Popular party; during her interview, Machado argued that people have the right to overthrow the democratically elected government. And many other Venezuelan networks also frequently broadcast opposition voices. In fact, the New York Times issued a correction last year after reporting that Globovisión was “the only television station that regularly broadcast voices critical of the government.” It’s a shame that the same standards for accuracy in the Times‘ news section apparently do not apply to the opinion page. Krauze then says that Maduro “confronted” those “protesting students with arrests and gunfire,” and that “many were killed” as, supposedly, Maduro “suppressed demonstrations by the opposition.” A quick review of events last year–as covered by the New York Times, among others–reveals a wholly different story. It is true that some security forces fired on demonstrators, killing at least three. Yet as over a dozen members of Congress noted in a letter to Secretary of State John Kerry, the Maduro government arrested some 20 security state agents in connection with these incidents. This was not a case of government-ordered crackdown on protests; if it were, the opposition’s street blockades might have been cleared in days–instead, they remained for weeks–and motorists and cyclists might have been saved from decapitation, crashing into barricades, or getting shot when they got out of their stopped cars. Krauze also writes that “thousands” of the Cuban doctors that Venezuela is paying for “have defected to other countries in recent years.” Despite US government efforts to actively encourage such defections, which the New York Times has condemned, the overall defection rate of Cuban medics on overseas missions is less than 2 percent (as of 2011, using US figures on the number of defectors and Cuban figures for the number of medics on overseas missions). The amount of defections in Venezuela from 2006-11 was 824, which works out to a rate of about 1.1 percent–slightly less than the overall rate. Krauze claims: “Oil was supplied at such low prices that Cuba could turn around and refine and export some of it at a profit.” This makes something normal sound very conspiratorial–those two-faced Cubans, getting oil on the cheap from Venezuela then selling it out the back door! Actually, Venezuela has invested heavily in Cuba’s downstream capabilities–renovating a moribund Soviet-era refinery in Cienfuegos, Cuba. The fact is, whether Krauze wants to admit it or not, Venezuela is a democracy, and the Maduro government was democratically elected–as were the Chavista municipal officials who won a majority of elections half a year after Maduro was elected, in a stunning defeat for the opposition. Krauze doesn’t have to like the current Venezuelan government, but he shouldn’t confuse it with an unelected one, as in Cuba. Nor should he be so easily confused by the Venezuelan economic system–where the private sector enjoyed strong growth in the years after Chávez took office–versus the Cuban model of socialism. More worrying is that the New York Times opinion page would be so baffled by these important differences. Steve Ellner has taught economic history at the Universidad de Oriente in Venezuela since 1977. His most recent book is his edited Latin America’s Radical Left: Challenges and Complexities of Political Power in the Twenty-First Century (Rowman & Littlefield, 2014). 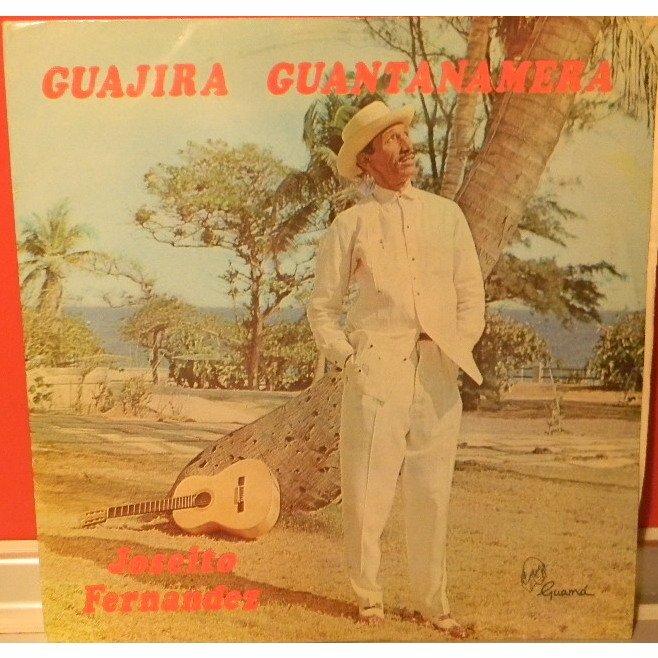 Posted by rogerhollander in Cuba, Foreign Policy, Latin America. Roger’s note: As I have said before, the Monroe Doctrine is alive and well. The current US interventions is Cuba, Venezuela and Honduras along with its role in Mexico’s presidential elections and its huge military to Colombia’s repressive governments (and a huge etcetera with respect to the rest of the Caribbean and South American continent), testify to this fact. Please let me know if you can find an iota of difference between Obama’s foreign policy and that of the unabashedly imperial foreign policy of the Republican Party. Participants were given little training and payed less than minimum wage, despite known danger, AP investigtion finds. A program established under the Obama Administration by the United States Agency for International Development (USAID) endangered about a dozen young Latin Americans by employing them to incite political revolt in Cuba by using civil society and humanitarian aid programs as fronts for the real aim of political destabilization on the Communist island,reveals an extensive new AP investigation published Monday. The secret program “was launched during a time when newly inaugurated President Barack Obama spoke about a ‘new beginning’ with Cuba after decades of mistrust, raising questions about whether the White House had a coherent policy toward the island nation,” according to the AP. To help it implement the plan, USAID hired the firm Creative Associates International, the same Washington-based company that played a central role in the creation of the secret “Cuban Twitter” that the AP reported on in April. As DSWright points out at Firedoglake, what’s so disturbing about this is that “USAID was recently involved in setting up fake hepatitis clinics for the CIA in Pakistan,” causing Pakistanis to refuse being vaccinated, and prompting the White House to promise to never again use health clinics as a front for intelligence operations. And yet, just four months after Gross’ arrest, Murillo was sent to the island by the USAID, marking the beginning of yet another failed covert operation to overthrow the Cuban government. Whereas Gross was paid over half a million dollars by the U.S. government, despite the fact that he had never been to Cuba and his Spanish was quite poor, the young Latin Americans were paid as little as $5.41 an hour. Other aspects of how they were used appear to have been dangerous and poorly thought out—in one example, a friend of Murillo’s who was used as a “mule” to bring money to a student group in Cuba said that his security training had amounted to about a half hour and was done via Skype. 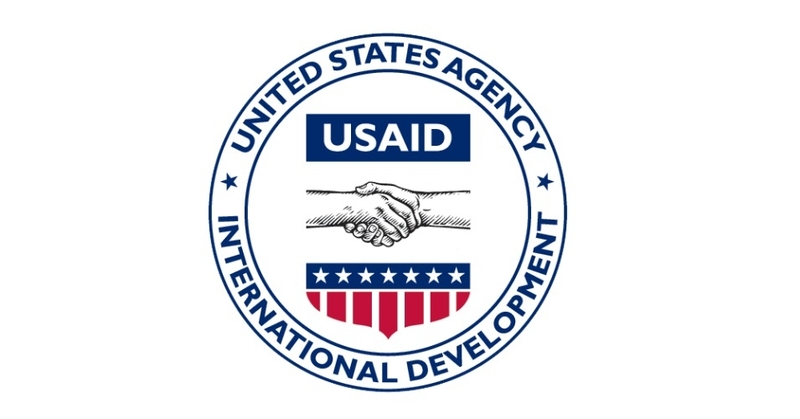 While USAID did not deny the contents of the story, in a statement put out Monday the agency highlighted the fact that Congress funds “democracy programming in Cuba to empower Cubans to access more information and strengthen civil society,” and that “this work is not secret, it is not covert, nor is it undercover.” The statement failed to address the program in question, which is not a part of any such funding from Congress, and was secret until Monday. The same defense was used of the fake social network built by USAID, despite every aspect of it having been entirely covert. The project was paid for out of the same fund used for the fake Cuban Twitter. USAID declined to comment on how much was spent on the travelers’ program, and has not fulfilled the AP‘s Freedom of Information Act request for a complete copy of the Cuban contracts that was filed more than three months ago. The AP found “no evidence the political objectives were ever realized” and Cuban students belonging to what had been identified as a “target group” due to its supposed organizational abilities and political stance were “astonished to discover that the foreigners were acting on behalf of the U.S. government.” One student said that he thought the operatives mistook typical Cuban griping on things like basic infrastructure issues for full-on political dissent. 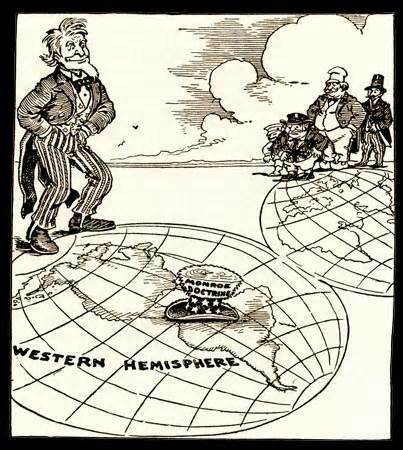 Posted by rogerhollander in Cuba, Foreign Policy, Imperialism, Latin America. Roger’s note; The U.N.vote against U.S. embargo against Cuba: the United States and Israel against the rest of the world. A metaphor for today’s geopolitical reality. And the Ambassadors justification for the embargo “to encourage respect for the civil and human rights.” Does the phrase “supreme hypocrisy” ring a bell? For the 22nd year in a row, the UN General Assembly resoundingly denounced the U.S. embargo against Cuba. At the symbolic vote on Tuesday for the resolution called “Necessity of ending the economic, commercial and financial embargo imposed by the United States of America against Cuba,” 188 members of the 193-member body voted for the resolution. The U.S. was joined only by Israel in voting against the resolution. There were three abstentions—Palau, Micronesia and the Marshall Islands. “The US policy against Cuba is suffering from an absolute international isolation and discredit and lacks every ethical or legal ground,” said Cuba’s Foreign Minister Bruno Rodriguez Parrilla. “Seventy-six percent of Cubans have lived under its devastating effects since the day they are born,” he added. Posted by rogerhollander in Criminal Justice, Cuba, Foreign Policy, Labor. Roger’s note: here is just another example of Obama following the same foreign policy as bush and his predecessors with respect to Latin America, as with his ((and Secretary of State Clinton’s) tacit support for the coup in Honduras and Paraguay, not to mention Venezuela. 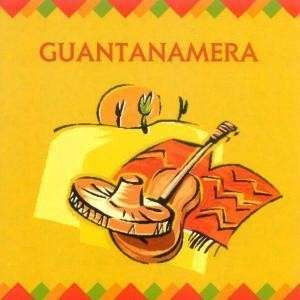 As a Latin Americanist I am more than disgusted with Obama and his phony campaign gimmick about change you can believe in. Fates of jailed Cuban Five are at the heart of hostility between Washington and Havana. Cuban Adriana Perez hasn’t seen her imprisoned husband since 1990s. She’s 43 years old, childless, and lives in Cuba, while her husband of a quarter-century is incarcerated in a U.S. maximum-security prison, having served just 14 years of a soul-crushing sentence — two life terms plus 15 years. So what are the odds that Adriana Perez and her spouse, Gerardo Hernandez, will ever have a child together? Right now, those chances are looking extremely slim. In this case, the right to bear children. An intense, somewhat diminutive woman with dark, striking features and a crown of wavy black hair, the Cuban activist was in town last week to address an assembly of about 160 mostly left-leaning Torontonians. They crowded into the United Steelworkers Hall at 25 Cecil St. to hear a tale of American hard-heartedness and duplicity, at least as it’s framed by one of its victims. Perez’s husband belongs to a group of convicted men who are now widely known as the Cuban Five, men long regarded as national heroes in Cuba, their pictures splashed across billboards, posters, TV screens and car bumpers. In the United States, however, the same individuals are vilified as foreign spies, criminals who broke the law and who richly deserve to be behind bars. Behold the core configuration of Cuba-U.S. relations in the early years of the third millennium: a tale of five Cuban convicts — plus one yanqui detainee. The gringo in this story is a 63-year-old American by the name of Alan Gross, who is currently doing time in a Cuban jail. Put them together, and what you’ve got is possibly the main obstacle to progress on what may well be the most bizarrely dysfunctional bilateral relationship in the world, a state of bitter enmity that has alternately fumed and flared for more than 50 years, pitting Washington and Havana in what some regard as the final battleground of the Cold War. The Cold War, of course, is over — and ideological disagreement no longer has much to do with the stubborn antipathy that continues to dominate U.S.-Cuba relations. Even the experts seem stymied by the remarkable and seemingly illogical persistence of the dispute. To some degree, that war can now be reduced to a conflict over prisoners — five Cubans and one American. Where the Cubans are concerned, time is fast running out. It is certainly staring Adriana Perez straight in the face, as she travels the world trying to drum up support for her husband and his four comrades. In fact, her hopes for children may already be moot. Dispatched to south Florida in the 1990s, the five Cuban men were on a long-term clandestine mission — no one denies that — but they were not spies in the conventional sense, according to their defenders. They were not interested in undermining the U.S. government or its institutions. Instead, they spent their time monitoring the activities of radical Cuban-American groups fiercely opposed to the government of Fidel Castro and not averse to violence. Later, Havana offered to share its intelligence with the U.S. government. 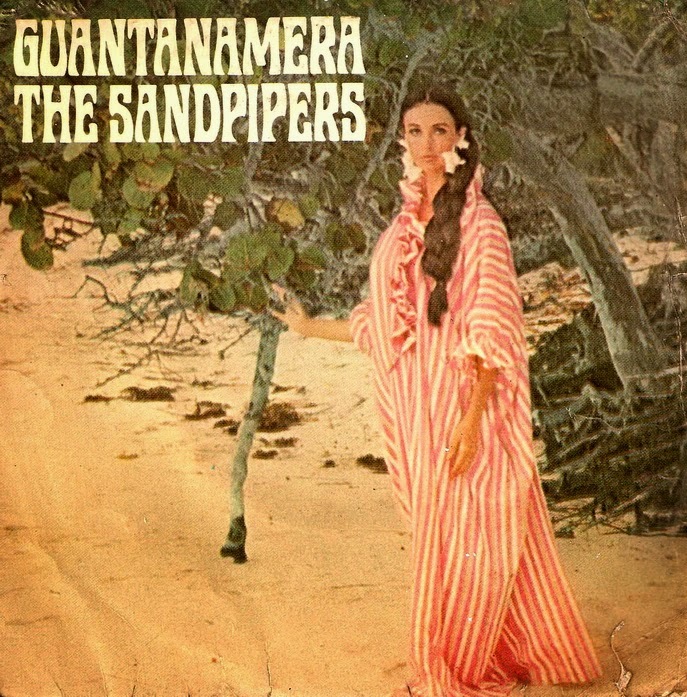 Instead of saying gracias, compañeros, American authorities responded by arresting the five Cubans and charging them with a raft of espionage-related crimes. Lawyers for the five sought to move the trial out of Miami, with its volatile anti-Castro community, but those efforts were rebuffed. Impartial or not, the Miami jurors subsequently convicted the defendants on all counts, and the men were sentenced in 2001 to sometimes astoundingly long prison terms, most notably the sentence meted out to the husband of Adriana Perez. With one exception — Rene Gonzalez, who was released from a federal prison in 2011 but is still serving three years of parole — the Cubans have remained behind bars ever since. “In spite of this, they have not lost their optimism that they will return to Cuba,” said Perez, who hasn’t seen her husband since the 1990s — and not for lack of trying. On at least 10 occasions, she has sought a U.S. visa in order to visit Hernández in jail, only to be turned down each time. This past week, she called on a highly sympathetic Toronto audience to step up their efforts to win the release of the five. What’s needed, she said, is political pressure. That pressure could take many different forms, but it seems unlikely they will include a prisoner exchange, although the Cubans have earnestly sought one. Cue Alan Gross, a possibly somewhat naive American who was arrested in Havana in 2009, while working on a “pro-democracy” project funded by the United States Agency for International Development, a contract that involved providing electronic communications equipment to the island’s minuscule Jewish community. For that activity, the Cubans arrested the American and put him on trial. He is now serving a 15-year sentence for crimes against the Cuban state. Havana has left no doubt that it would agree to a swap — Gross’s freedom in return for the release of some or all of the five. But Washington says no. As a result, the two neighbours remain suspended in the same state of mutual hostility and diplomatic paralysis that has prevailed for almost as long as Cuba has been governed by someone named Castro. Nowadays, the man in charge in Havana is Raul Castro, Fidel’s slightly younger brother and a considerably more pragmatic individual than his elder sibling ever was. By most accounts, Raul badly wants to ease tensions with Washington — for economic reasons, above all, given the dilapidated state of the island’s economy. 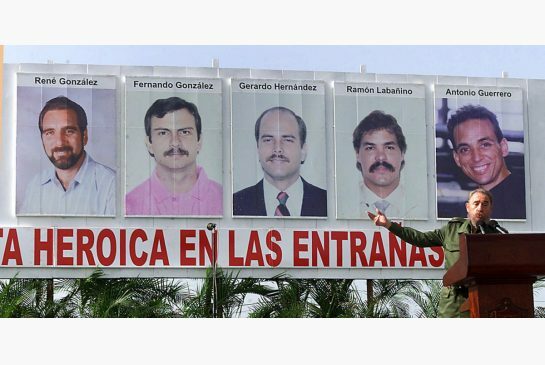 But his government also seems deeply committed to securing the release of the Cuban Five. Instead, the Obama administration continues to include Cuba on its list of “terrorist” states — a tired anachronism at best — and to maintain its long-running economic embargo against the island. “We’re in a complete stalemate,” says Sabatini. It sometimes seems that nothing short of the Second Coming could inspire a change in the official U.S. stance on Cuba. Consider the recent appointment of John Kerry as U.S. secretary of state. Many observers expected the former Democratic presidential candidate to provide a fresh new look to Washington’s outmoded policy toward the island. After all, he has long advocated a range of measures that would reduce tensions between the two sides. So far, however, there is little sign that Kerry is sparing much time pondering the fate either of the Cuban Five or of the remaining 11 million islanders still sweltering in the Antillean sea breeze roughly 100 kilometres across the Straits of Florida from Key West. According to Sabatini, Cuba receives little attention from the State Department in Washington at least partly because the U.S. has far bigger foreign-policy concerns, from North Korea to China to the Middle East. Besides, he says, improved relations with the island would spell only minor economic and political benefits for the United States, while risking a much more formidable downside — the outrage of Cuban-Americans in south Florida. In the absence of a clear directive from the White House, he believes it is inevitable that Cuba policy will remain mired in bureaucratic inertia and outdated thinking. After all, the U.S. Senate’s foreign affairs committee is chaired by Bob Menendez, a retrograde Cuban-American who would not look fondly on ambassadorial candidates with a history of progressive-minded ideas about his ancestral island home. Still, there may be at least a glimmer of change on the short-term horizon, as Obama prepares to travel to the region next month, a trip that will include stops in Mexico and Costa Rica. The United States is now the only country in the Americas that does not have normal diplomatic relations with Havana, and Latin American leaders are impatient with what they see as U.S. foot-dragging. That frustration might be enough to produce a shift in Washington’s tone, if not something more concrete. Meanwhile, Adriana Perez continues to traverse the globe, on an increasingly urgent campaign to secure the release of her husband. 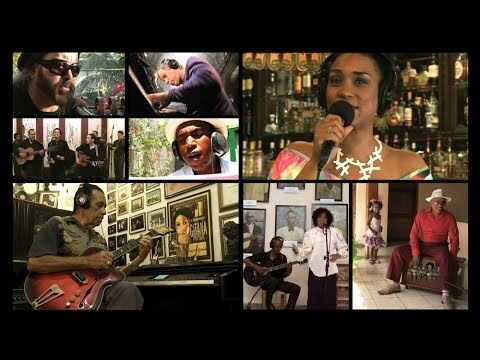 For more about Cuba — the good, the not-so-good, and the downright glorious — check out Oakland Ross’s eRead, Cuba Libre. Simply go to stardispatches.com and subscribe for $1/week. 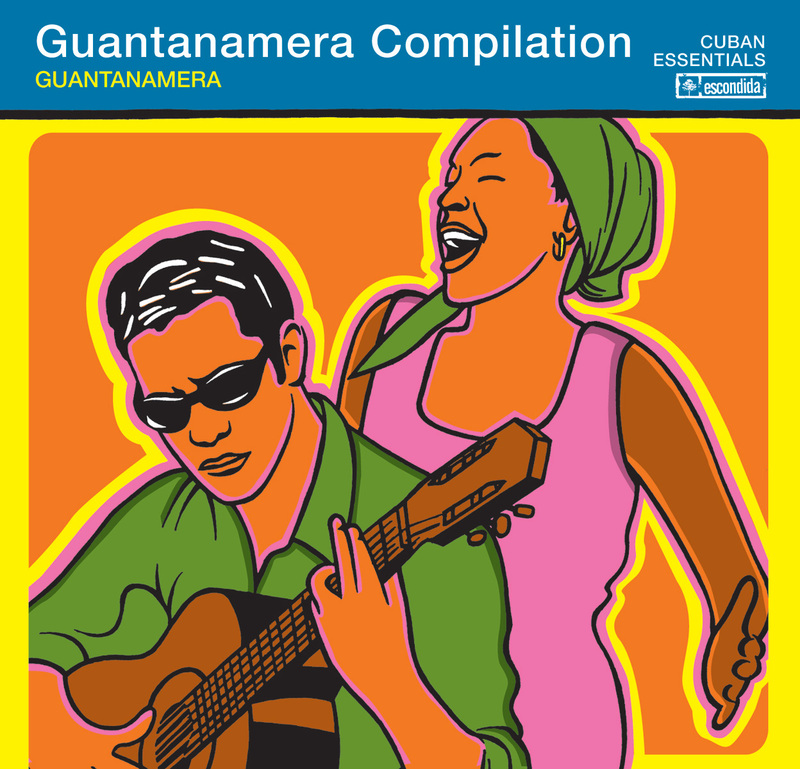 Cuba Libre is also available for single-copy purchase at itunes.ca or starstore.ca for $2.99. 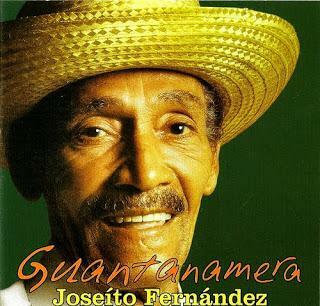 Posted by rogerhollander in Cuba, Foreign Policy, History, Latin America, Torture. But Cuba does not forget. When the United Nations voted 188 to 3, last week, to condemn the U.S. embargo, Cuba submitted to Washington a “draft agenda” aimed at normalizing relations. 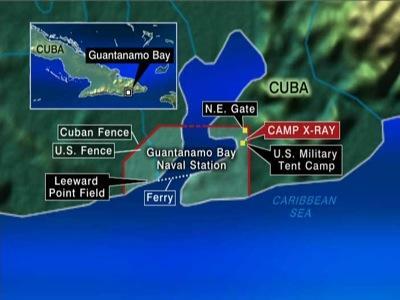 At the top of the list, of course, is “the lifting of the economic, commercial and financial blockade.” Also included among the “fundamental topics” for any “respectful dialogue” is “return of the territory occupied by the Guantanamo Naval Base.” The Cubans insist on their removal from the U.S. list of “terrorism-sponsoring countries”; an end to U.S. immigration policies that single out Cuba; compensation for economic and human damages inflicted on Cuba by the United States; a halt to “radio and TV aggressions” against Cuba; and that the U.S. stop financing subversion inside Cuba.